This entry was posted on Tuesday, December 5th, 2017 at 11:43 am. 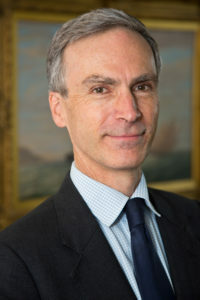 Dr Andrew Murrison MP Parliamentary Under Secretary of State and Minister for International Strategy. Local charity, Carer Support Wiltshire (CSW) has announced that Dr Andrew Murrison, Member of Parliament for South West Wiltshire will be their new patron. The charity supports unpaid carers in the county, offering advice, information and help for those looking after a family member, loved one or neighbour. It is estimated there are over 47,500 carers here in Wiltshire. Dr Murrison has a background in health and the armed services, retiring as a surgeon commander from the Navy in 2000 after 18 years of service. He was recalled to serve in 2003 in Iraq. A qualified doctor, he has worked locally in Warminster as a GP and held posts for health in Government. He is the author of influential reports on healthcare for members of the Service community: ‘Fighting Fit’ and ‘A Better Deal for Military Amputees’ and has written on The Military Covenant. In 2011 he was appointed special representative for the First World War centenary commemorations. Earlier this year CSW set up the armed forces family support project, with funding from Royal British Legion. The project aims to help those carers with military connections to access services, funding and training. CSW chief executive, Catharine Hurford said, “We, and the carers we support, welcome Dr Murrison as our patron. With his assistance, we will be able to raise the profile of carers and caring and extend our reach as an organisation committed to ensuring the county’s carers are well supported. Cpnsvo It as essentially a cool and beneficial piece of information. I am content which you just shared this valuable data with us. Please hold us informed like this. Thank you for sharing. Major thanks for the blog.Much thanks again. Really Cool. Thanks for sharing, this is a fantastic article post.Really looking forward to read more. Want more. A helpful tip that you should think about in your times of stress is to have some snacks that contain carbohydrates. Eating these types of snacks will help to release serotonin in your brain. This is a natural occurring chemical that will make you feel good once it is released. I really enjoy the blog post.Thanks Again. Keep writing. wow this is wonderful post. Hindi Tv Series Brings Indian Dramas and i like your article always. You have a grip on this topic. We have to come daily to watch latest updates. i must say you will always rock like blogger. best Wishes. I like your article so much, You have amazing article and his details. We will come on daily on your website, one day you will become a great blogger and everyone will have proud on your skills.